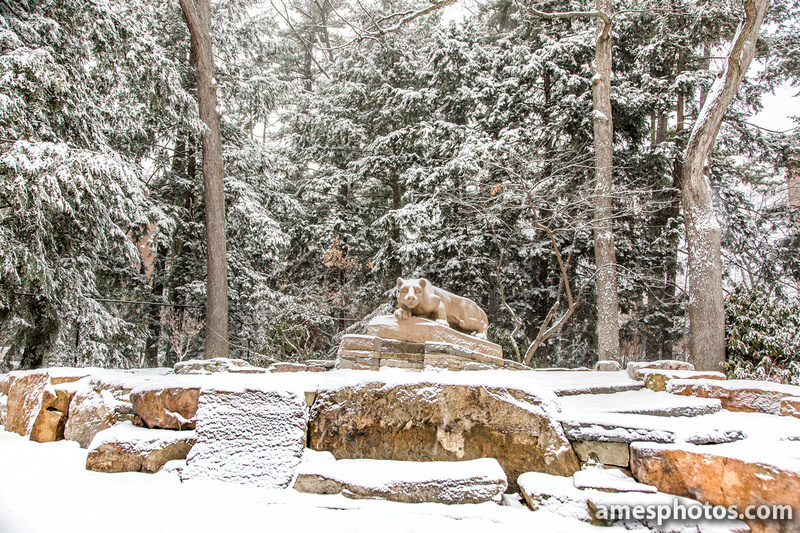 The landscape design for the Lion Shrine was fundamentally about the careful creation of a setting, or habitat if you will, befitting a revered, iconic sculpture. The design needed to satisfy practical goals of accessibility, lighting, and foundation repairs to the statue, as well as provide an interpretive element for the class gift. 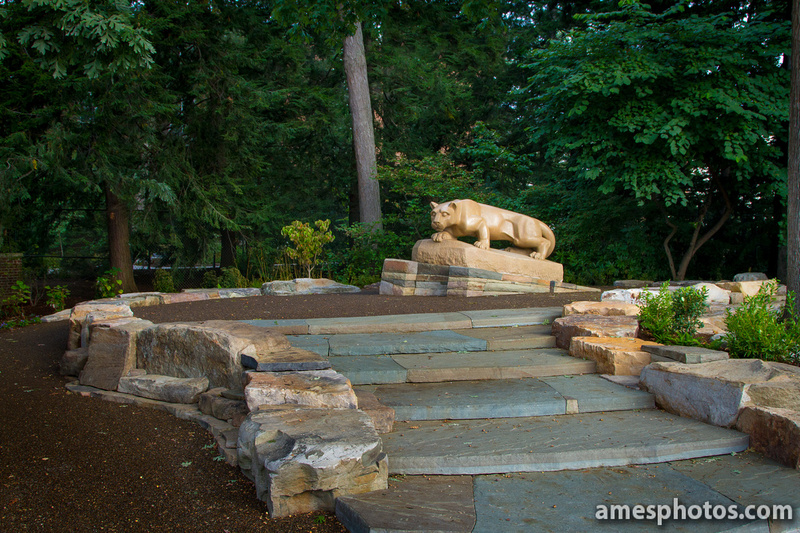 Native stone from Nittany Mountain as well as native plants common to woodland edges were used. A key ingredient to the project was working with local master stone mason and artist, Phil Hawk, as well as professor and theatrical lighting designer, William Kenyon.